YOU’VE NEVER SEEN VIDEO MONITORING LIKE THIS BEFORE. Business moves pretty fast. 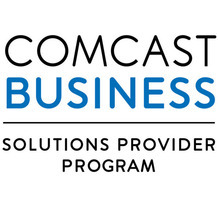 And the Comcast Business SmartOffice™ Video Monitoring Solution helps you keep up. With the ability to keep an eye on your company’s facilities 24/7 with crystal clear images and automatic cloud storage, you won’t miss a thing. Plus, it’s all enhanced by the super-fast and reliable Comcast Business Internet.